The Helle Utvaer is named for the westernmost group of islands where Norway meets the North Sea. 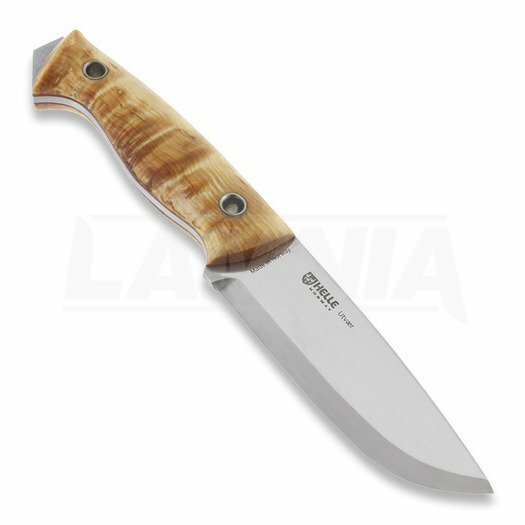 The Utvær features a strong, full tang construction, ample curly birch handle and 4-inch blade of Sandvik 12C27 steel. 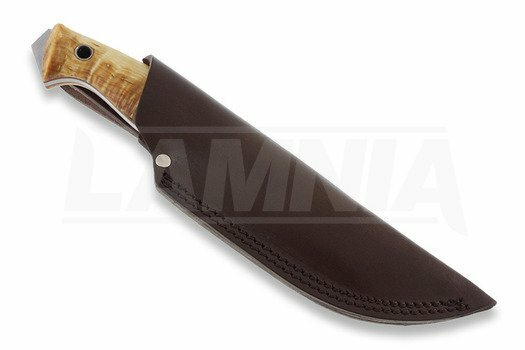 The drop point Scandinavian ground blade, leather sheath, and curly birch wood handle characterize Helle’s renowned strength, functionality and beauty.